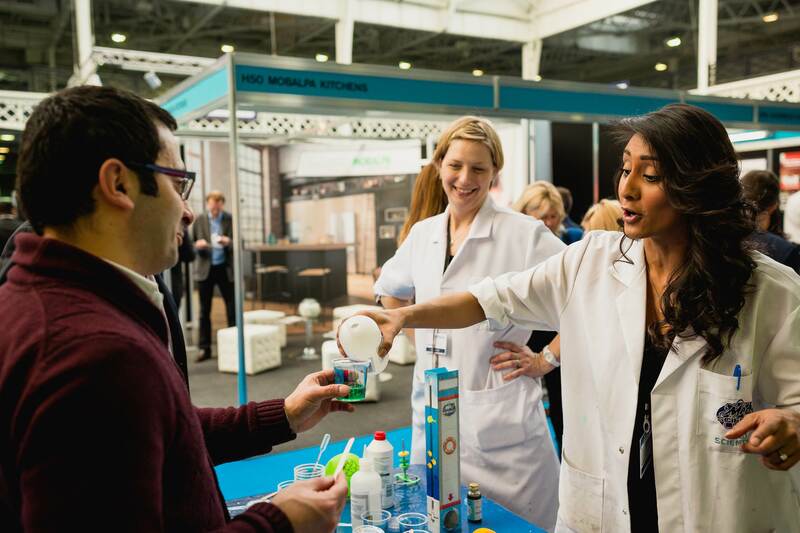 What did our exhibitors think? We are here this weekend to help expand our brand internationally and also to try and open an additional 20-30 sites in the UK over the next two years. 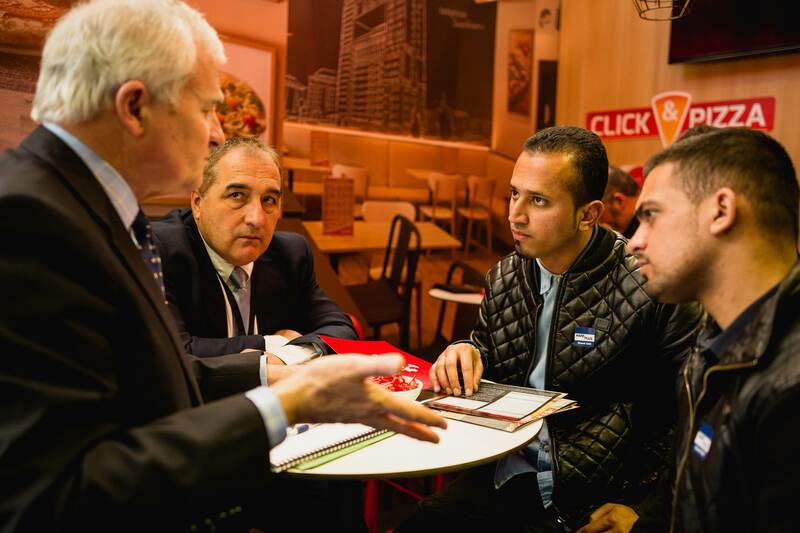 We have found visitors at the British & International Franchise Exhibition are generally more qualified than those at other shows around the world. Most people we have met with so far already know about us and have already researched us online. They then come to the exhibition specifically looking to speak to us which is great. There were some really strong leads yesterday – it was a really great day with potentially four or five already sold. 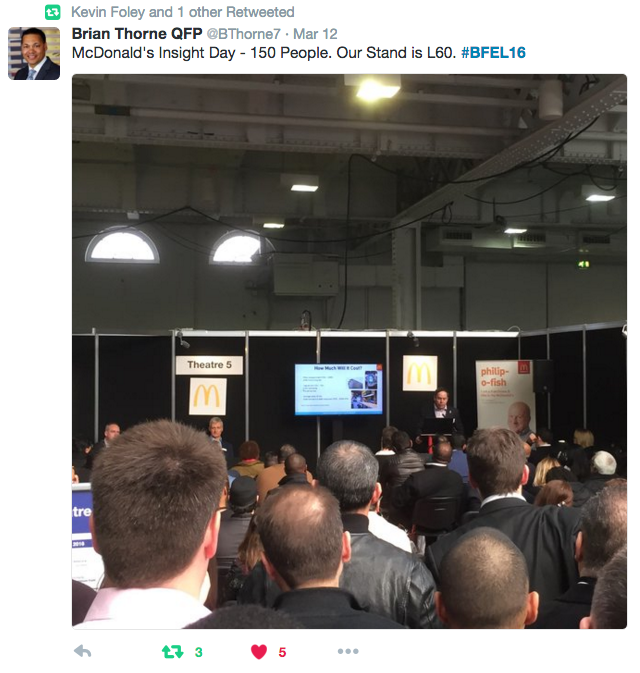 We are long-time supporters of the British & International Franchise Exhibition - it is always an excellent event and consistently delivers quality leads. This year has been no exception. We don't exhibit at any other exhibition - with these exhibitions working so well for us, we don't need to! I'm really happy with how the day has gone. This is our first time exhibiting at Olympia and it has worked very well for us. Coming here has raised our brand identity and I've been excited to see the positive results. 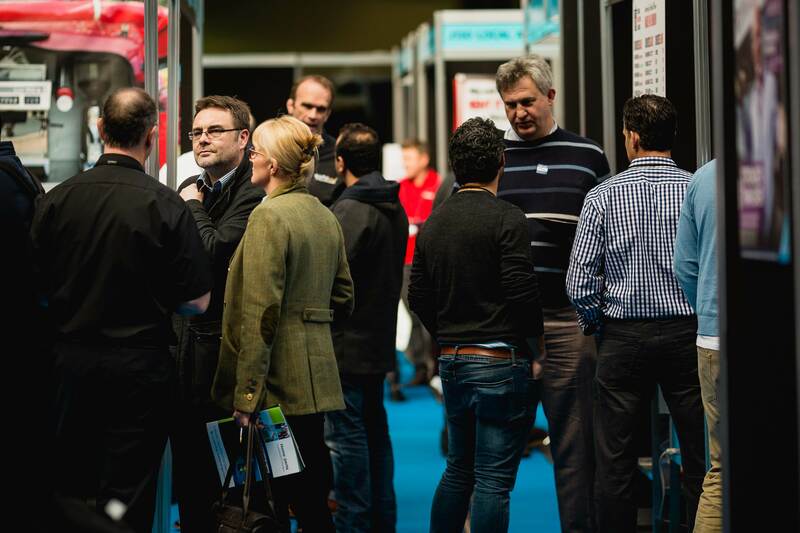 The Franchise Exhibitions are run to a standard not seen elsewhere in the sector. We have done all the Franchise Exhibitions this year so far and will be at the next two as well. We haven’t exhibited at the Excel recently because, as a bfa accredited franchise, it is important to exhibit here. I think it is easier to convert leads when visitors know you are a bfa accredited business. 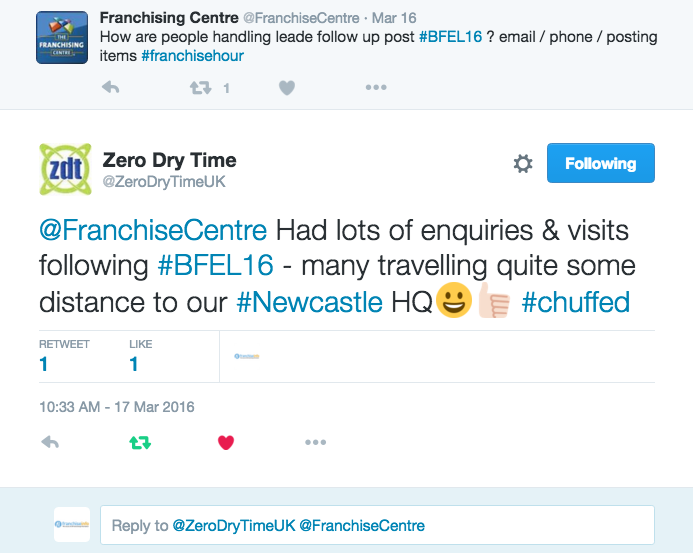 We do the franchise exhibitions every year and find that they are a really good route to the market. We are exclusively exhibiting at VMG exhibitions this year and will be attending all of them. It's not just a matter of looking for franchisees, it's about building brand awareness. We ahave had some good enquiries so far this weekend and met a real mix of visitors. This is the second time we have done the British & International Franchise Exhibition in London, we do all the other Venture Marketing exhibitions in Manchester and Birmingham as well. 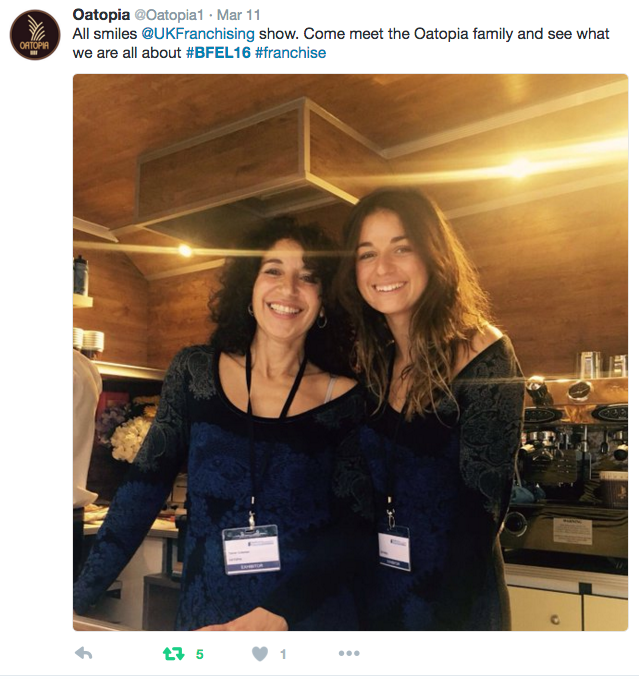 We definitely find coming to these exhibitions one of the most successful ways of recruiting franchisees. Saturday went really well, we got some great leads which will hopefully come through. Being here is just a great way of getting the brand out there. This weekend has been our best exhibition ever! The Olympia is consistently our most successful event and this year we've doubled the number of leads from any other exhibition in the past. It's been a brilliant two days. We have had a fantastic weekend so far. We love running the Children's Activity Centre here at the British & International Franchise Exhibition (BIFE) and we have been meeting really great families and inspiring parents with ideas on how they can take control of their work lives with their own franchise. We have been running this feature for many years and have seen the exhibition growing and getting better and better year on year - Venture Marketing do a great job and have an amazing team. We keep coming back because we really love it. We are very selective about our prospects and we find the BIFE is a great way to meet people before they come to a discovery event. We have found some great leads here today at the British & International Franchise Exhibition. 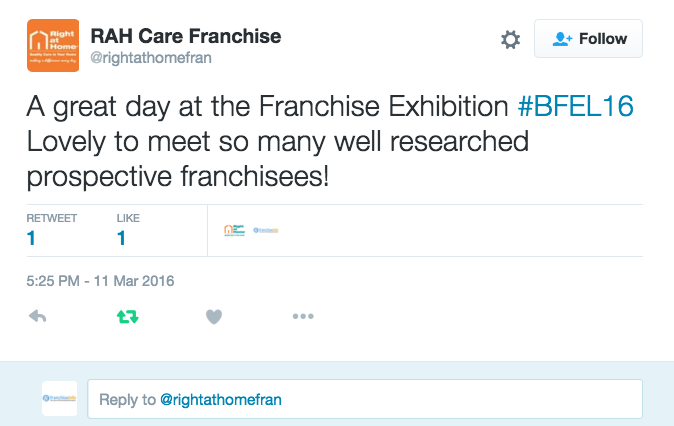 We attended all four Franchise Exhibitions last year and have only been franchising since 2013. It’s really important to us that the BIFE is BFA accredited. Today is going really well, we have already had some great leads early on in the day so we are really pleased. We have had some really positive leads already this morning. It’s really important the exhibition is bfa accredited, so franchisees can trust what they are buying into. 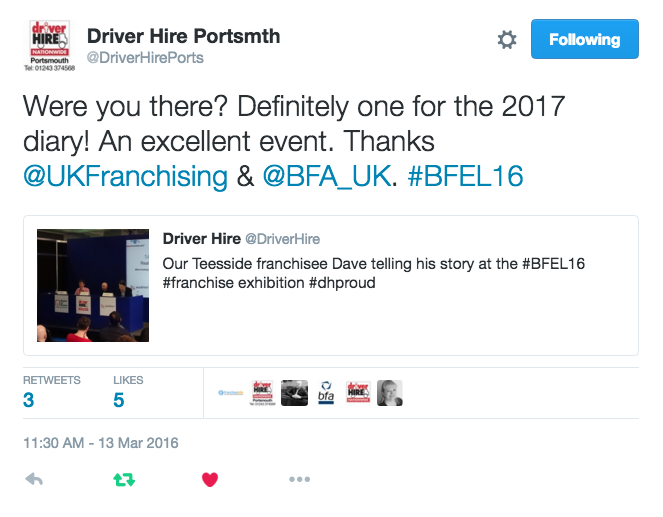 We have always achieved our targets when coming to The Franchise Exhibitions and this year is hitting the mark again. There are four of us here today, and between us I think we have some great leads so far that we will be following up with. There is definitely opportunity out there today with a lot of visitors telling us they have come to see us specifically having done their research in advance. We joined the BFA relatively recently with the British & International Franchise Exhibition our first ever exhibition, it’s our first opportunity to showcase the brand so we grabbed it! 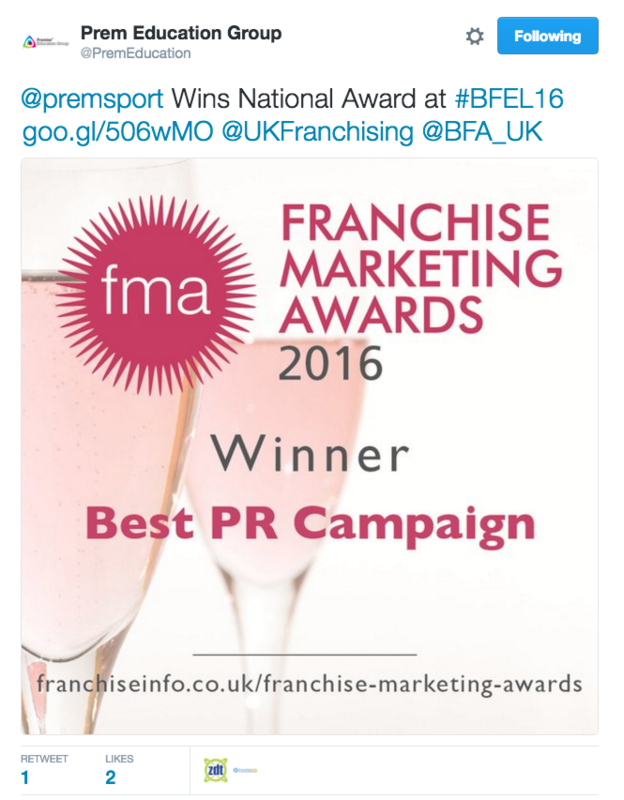 It’s so important to us to be BFA accredited – it means there is a set standard with all the franchises meeting that criteria. We have seen such a mix of people here today and getting in front of them face to face has been great. We had a really successful time here last year, which is why we are back. We like to keep a presence at the franchise exhibitions and the fact the BIFE is BFA accredited is really important. We have found we often have visitors who know we are going to be here and come and see us directly having done a bit of research – they are often the strongest candidates we see. We are here today because we are looking to increase our brand awareness and make contact with potential franchisees. 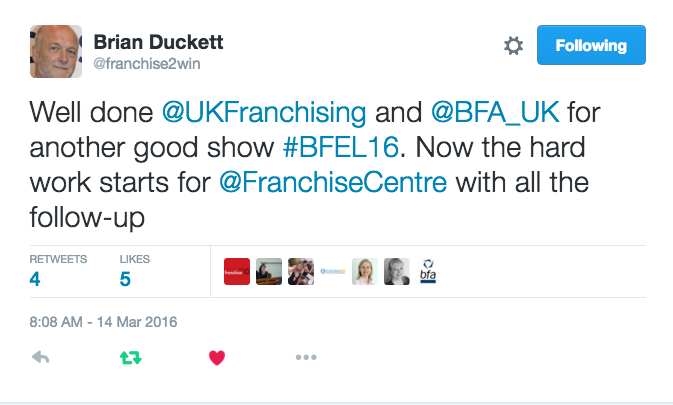 One of the reasons why we applied to the bfa is so that we could exhibit here at The Franchise Exhibitions. We have enjoyed a really busy day and have met a good number of candidates. The quality of people attending is impressive, and we already have plenty of exciting leads. We exhibited at the Excel a few weeks ago which was very slow by comparison. 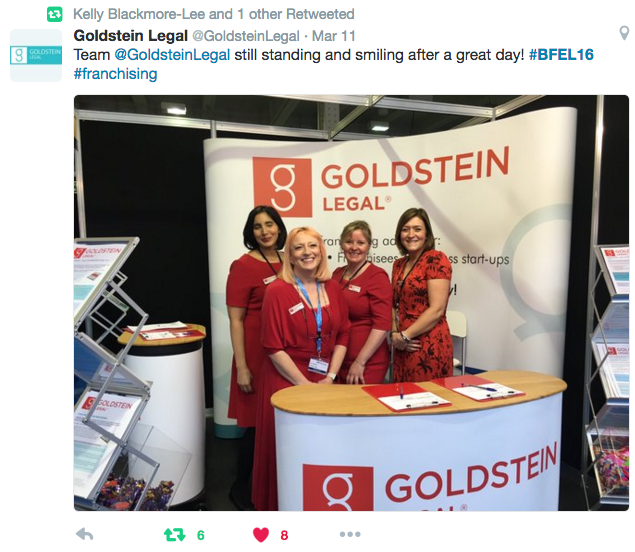 The Franchise Exhibitions are crucial in our recruitment strategy, we even launched the brand at the February 2014 event in Birmingham. Today has been a fantastic experience and I’ve met fantastic candidates who are genuinely excited by our offering. I’m looking forward to tomorrow! Today has been fantastic – we’ve been so busy! It’s our first year exhibiting with VMG and I wouldn’t consider anyone else. We were new to the exhibition circuit so the support and knowledge from VMG has been invaluable. These events are so well organised and the support from the team has been fantastic from start to finish. We chose the British & International Franchise Exhibition to launch our company and it has been fantastic to see the public reaction. Our stand has been busy throughout the day and people seem to really respond to what we offer. We didn’t come with a target in mind, but so far we have generated a huge amount of interest. We did quite a bit of research before deciding which event to launch at – the BIFE really stood out for its global offering and excellent reputation. Today we have met many people I think we could definitely turn into franchisees. We definitely get our best results from the Venture Marketing Group exhibitions. Our weekend is going very well, we are really pleased with how Saturday went and have seen some good quality leads. If we are able to recruit 10 new franchises from this exhibition we would be very pleased. This year we invested more in our stand and have seen the best results. Martin Bunney, Head of Franchise Recruitment, Property and Acquisitions at Belvoir! Our weekend has been excellent so far, it’s been really busy already. We wanted to exhibit at the British & International Franchise Exhibition (BIFE) because it is a specialised franchise venue - visitors who come here are purely interested in franchising so it’s a good means of getting the best people on board. We have only just started franchising, this is actually only our second venue and we have definitely seen the best quality leads so far at the BIFE. We had a great day on Friday and today is getting busier and busier. 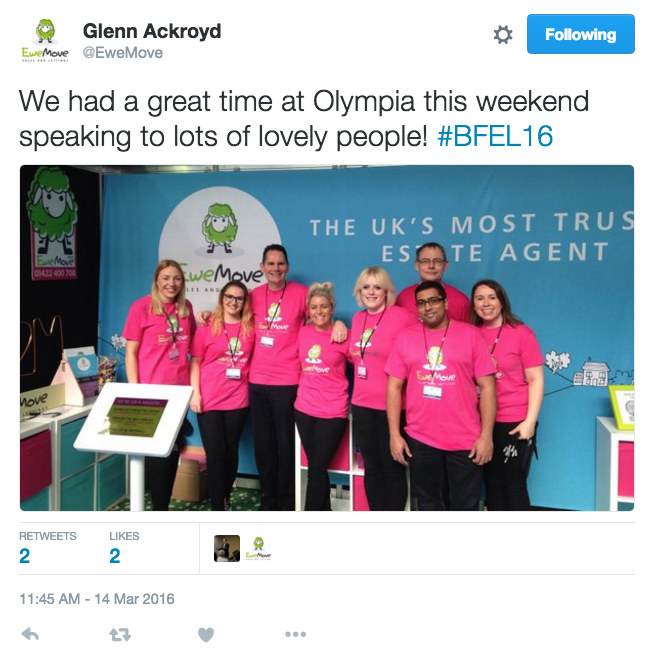 The franchise exhibitions have great pre-marketing and deliver fantastic, quality leads. We have already seen some really strong candidates. This weekend is fantastic, we have seen some really strong leads so far! Across the weekend, we’ve had a great deal of interest from people wanting to find out more about our business. For us it’s all about the quality of leads and finding the right people for our business and The British & International Franchise Exhibition has delivered that. One of the key benefits of this exhibition is having the bfa on board, which gives the visitors a sense of confidence and security.